How is machine learning developing with predictive data? Is our mobility changing through virtual collaboration? And how is big data supporting swarm intelligence? The innovation summit “MQ! The Mobility Quotient” revolves around these and other questions regarding the digital future. Audi is hosting it for the first time on September 7 and 8, 2017, at the Ingolstadt site. Amongst those invited are experts, opinion formers, trendsetters and visionaries for the mobility of the future – the central topic of the summit. 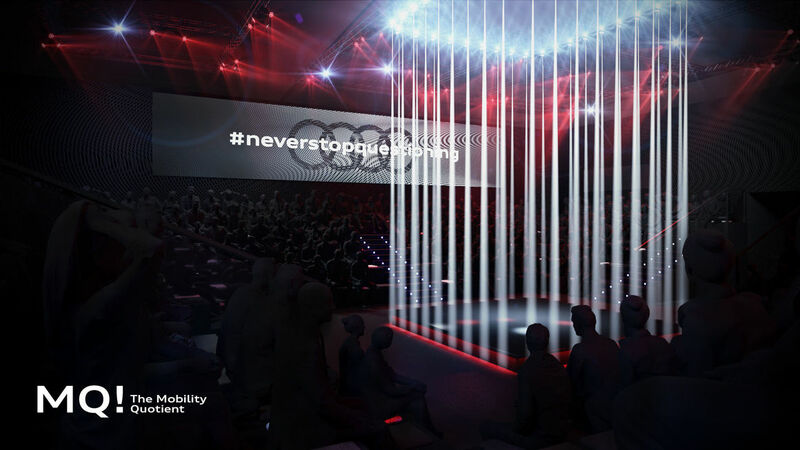 Together with the participants, Audi is searching for the formula of a “mobility quotient” (MQ). Its goal is to define and establish this as a scientifically based standard – similar to the intelligence quotient (IQ). In this way, the MQ should define the level of flexibility of an individual or organization in consideration of factors such as space, time, society and sustainability. The event serves as a platform for sharing and networking between digital pioneers from the fields of science, culture, commerce, politics and society. Speakers like Jimmy Wales, founder of online encyclopedia Wikipedia, and Mo Gawdat, Chief Business Officer of Google’s research and development facility “X”, will speak about the various facets of mobility. Furthermore, interactive workspaces offer the chance to discuss and exchange ideas with experts from the sector and from Audi.